This blog have tips about functions of the smartphones with iOS or Android. Example, for the iPhone such as How to reboot iPhone or How to save battery life. For the Android os will have more tips for the next time. Some tip and trick that you never know before. This blog will make you loving your smartphones much more. 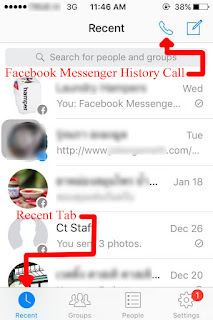 Facebook Messenger App use on smartphone for message chat, free voice call and video call with your Facebook friends. Normally history usage will show by recent. If you want to delete recent chat so select who want to delete one by one. Then swipe to the left and choose to delete conversation. That is the way to delete text conversations. If you have called history on Facebook messenger so it's still remain. Just touch the phone icon at the top right of the recent tab. 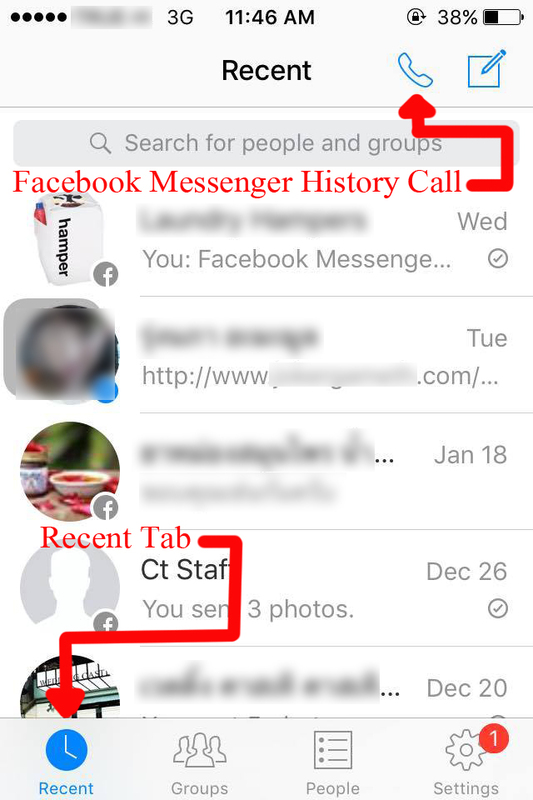 You will see the Facebook messenger called history. That will show the call total, timing and date. If you want to delete just swipe to the left and choose to delete button. Change Font colors on iPhone.